Gone are the days of the one-size-fits-all baby stroller. Today, there are a variety of baby strollers out there on the market designed to suit your individual needs. Whether you are an active athlete or a mom who travels frequently with her baby, whether you are city dweller or are navigating country roads, the right baby stroller should make travels with baby a walk in the park. Ekathimerini. Friday, 05 Apr 2019 14:20:04 GMT. A baby stroller is a collapsible wheeled vehicle designed as a chair with two rear handles, in which an infant or toddler may be pushed. Typical baby strollers have four pairs of two small wheels located at each corner; these work best on sidewalks and other smooth surfaces. Jogging strollers feature three large wheels – two in back and one in front – which provide a more comfortable ride at higher speeds or on slightly rougher terrain. Both types of strollers are available to accommodate one, two, or even three babies! Single strollers range in price from about $50 to over $200; the more specialized twin and triple strollers may cost several hundred dollars. Most twin and triple strollers can accommodate children of different sizes, which is perfect for parents who have children that are close in age. 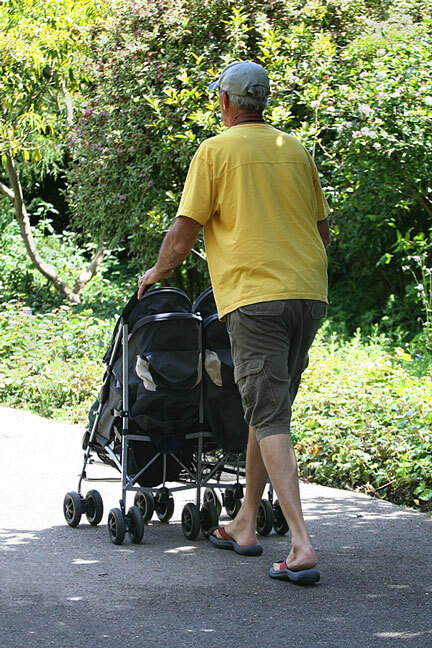 Some of the larger, more sturdy baby joggers can accommodate children up to 50 pounds in each seat, allowing them to hop in when they get tired on long walks. 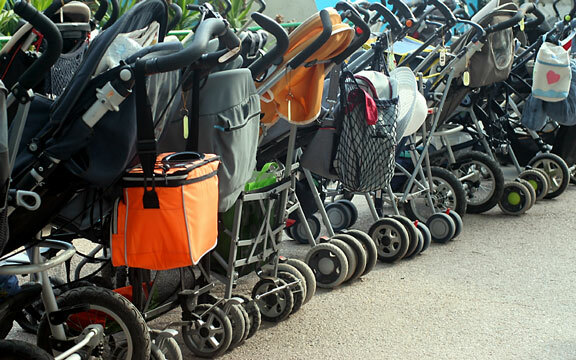 Selecting a baby stroller can sometimes be as complicated as choosing a name for your baby! However, if you decide how much you want to spend, as well as which features are important to you, you should be able to narrow down your choice quite easily. Today's baby strollers are equipped with features such as cup holders, under seat storage, and buttons that let you collapse the stroller with one hand. Perfect for busy moms on the go! Most baby stroller makers also offer lightweight umbrella strollers and other baby equipment such as baby carriages for newborn infants. On BabyStrollers.us, you will find baby product manufacturers who offer a wide range of baby strollers and related baby items. Manufactures jogging strollers and accessories that have become a favorite among active parents and grandparents. Supplier of travel strollers, convenience strollers, and double strollers. Manufactures a range of baby strollers, including lightweight strollers and tandem strollers. Designs and manufactures a broad selection of prams, baby strollers, and related baby products. Manufactures jogging strollers, travel beds, bicycle trailers, safety gates, and more! Offers a broad selection of umbrella strollers, lightweight strollers, and tandem strollers. Manufactures a wide range of baby strollers and accessories with a fresh and exciting array of fabrics, colors and design innovations. Offers baby buggies that feature rugged quality, safety, and innovative designs. Italian firm manufactures high chairs, baby strollers, ride-on vehicles, and car seats. British firm manufactures baby strollers, baby carriages, and English prams. Since 1877.